We are located in Rapid City, SD. If you are looking for a safe, secure storage unit with easy access we can help. Whether you are looking for a long-term or short-term we have many units to choose from. 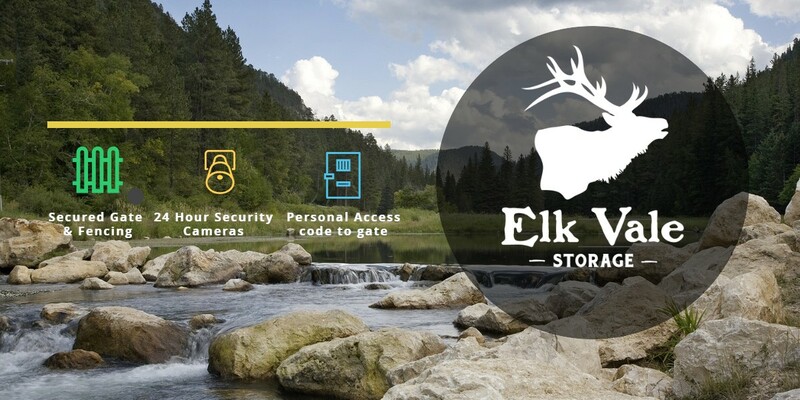 Elk Vale Storage is located in Rapid City, SD. Our self-storage units are guaranteed secure with our well lighted, secure fenced facility. With our addition of 46 new units we have units available for immediate occupancy. Contact Us to reserve your unit today! Secure gate and fencing surround the facility. Exterior lighting on property. Convenient online bill pay. Now you can pay your account online 24/7. Units rented after the 10th of any given month will pay that month plus the following month in full.